Payment Gateway Integration make easy the processing of payment details characteristically involving credit cards on your E-commerce website, so that you take delivery of the payment straightforwardly in your merchant account. Integrating E-commerce websites using payment gateways has become vital with the swift boost in E-commerce and online shopping trends. I well-known with most payment gateways such as Paypal and Authorize.net. I provide convenient payment gateway integration services that allow you to easily processes payments through your website and have the funds safely deposited in your account. Security is a great concern for people, especially when dealing with financial details. 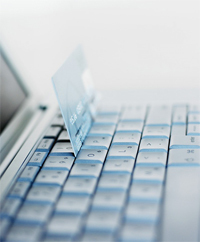 You need a knowledgeable, trustworthy and experienced team to handle your online transactions. I will deliver custom payment integration solutions for online business that will allow you to accept online payments from your customers using any payment gateway that you. I always commit to delivering the best services to clients those have multiple web business. A pre-made scalable, portable scripts allow me through payment solutions for effective business process, for payment solutions catering to specific merchant industries and advanced gateway technology I promise to serve my clients to deliver this service in a variety of scripting languages like PHP, ASP and JSP. 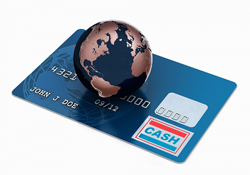 A payment gateway facilitates the transfer of information between a payment portal (such as a website) and the Front End Processor or acquiring bank. 1 - Visitor places the order on website and it is sent to the merchant's web server in encrypted format. This is usually done via SSL(Secure Socket Layer) encryption. 2 - The transactions details are then forwarded to the concerned Payment Gateway. 3 - The transaction information is then passed on to the merchants acquiring bank by the Payment Gateway. 4 - Merchants acquiring bank then forwards the transaction information to the issuing bank (one that issued the credit card to the customer). 5 - Then the card issuing bank sends a response back to the Payment Gateway. The response includes information that whether the payment has been approved or declined. In case of declination the reason is also send in the response. 6 - The response is then forwarded by the Payment Gateway to the merchants server. 7 - At merchants server the response is encrypted again and is relayed back to the customer. This allows the customer to know that whether the order has been placed successfully or not. 8 - The entire process typically takes less than 5 seconds. At the end of the bank day (or settlement period) the acquiring bank(or card issuing bank) deposits the total of the approved funds in to the merchants nominated account.